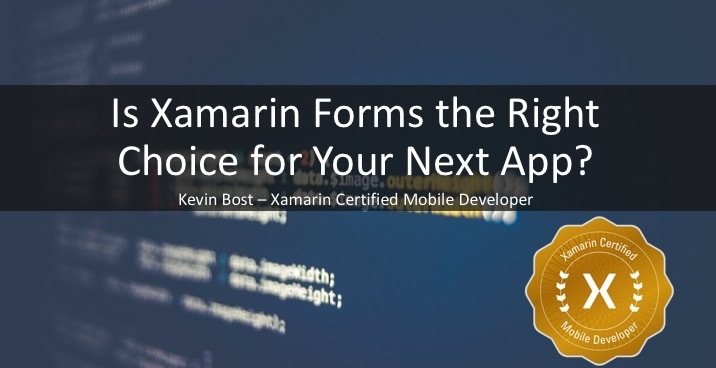 Xamarin is Microsoft’s platform for building mobile applications. Using a shared C# codebase, developers can build android and IOS apps at the same time using the Xamarin.Forms library. It isn’t a common UI; it’s shared code. Want to know more? Check out Kevin’s talk at the Spokane .Net User Group on November 13, 2018. Want to follow along? Here’s the slide deck and the GitHub repo that Kevin used at the meetup.